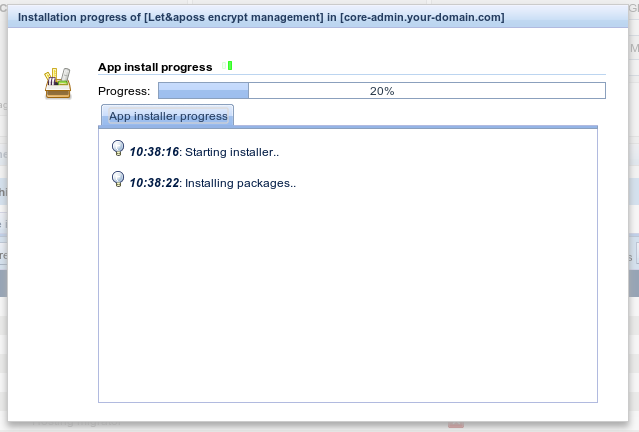 Let’s Encrypt application allow you to manage your let’s encrypt certificates for all machines connected to your panel. Core-Admin has been updated to manage the request and renewal of Let’s encrypt certificates. 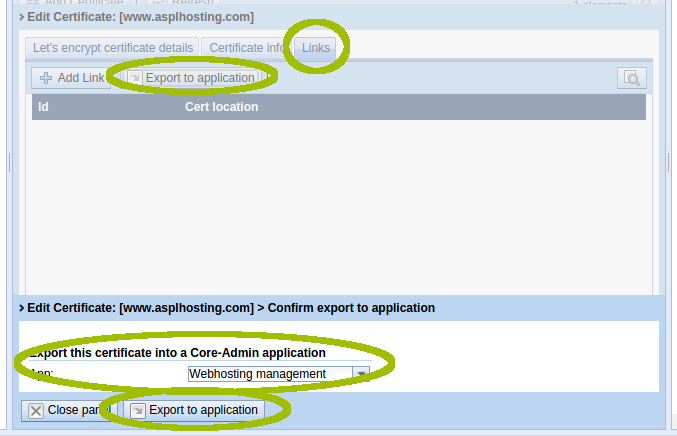 It has an easy interface that integrates with the rest of Core-Admin’s applications. 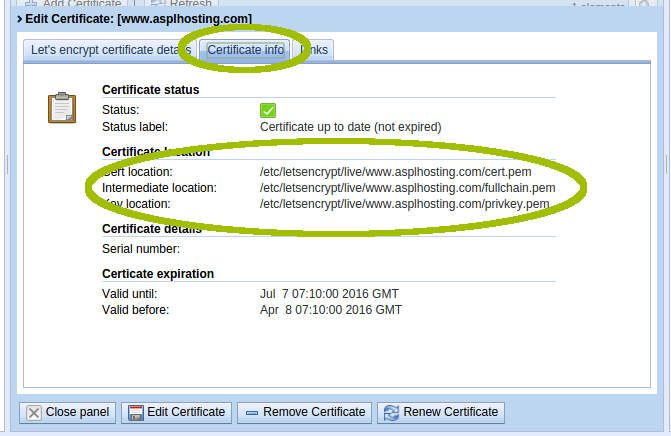 It is important to have your DNS pointing to the machine that is going to ask for the certificate. Core-admin will give you a list of the common-names found at the server. We select the one we are interested in and type in a support contact address. 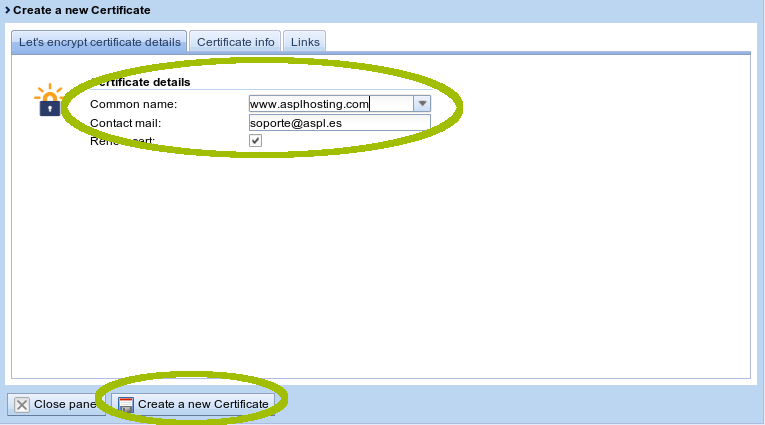 Raw mode, we click on the certificate and in the Certificate information tab, we can find all the paths to the files that contain the certificate information. We can use these paths to directly set up the application, following manufacturer’s instructions. 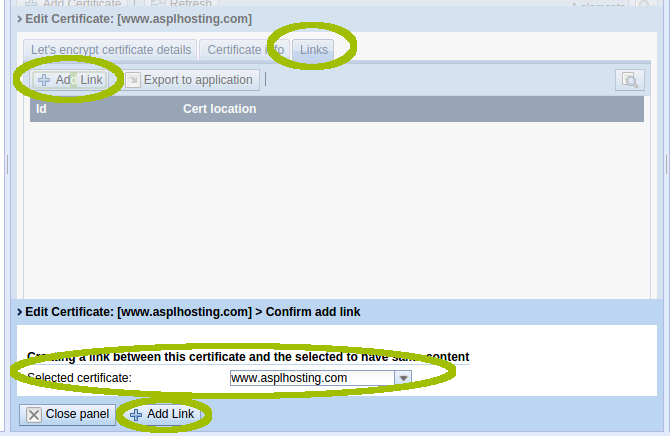 To renew a certificate, we click on it and click on Certificate renewal button. 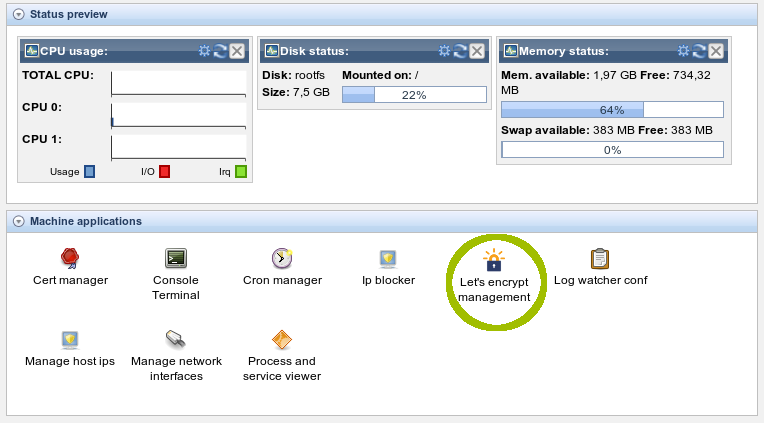 It’s also possible to use the Let’s encrypt management tool via a Python API provided.